Agenty CSS Selector and REGEX extractor engine can be used to extract anything from the source content, but sometime you might want few fields to be included in your output result which is not the part of website source content. For example you are scraping stock information of 100 companies from a stock website but also want a DATETIME field should also be in your output result to see when a particular page was fetched and information was extracted. URL of web page returned by web server even after redirects. HTTP Error message of error-ed web request. E.g. Collection of web response Header. E.g. , 5. Finally, save the scraping agent configuration. 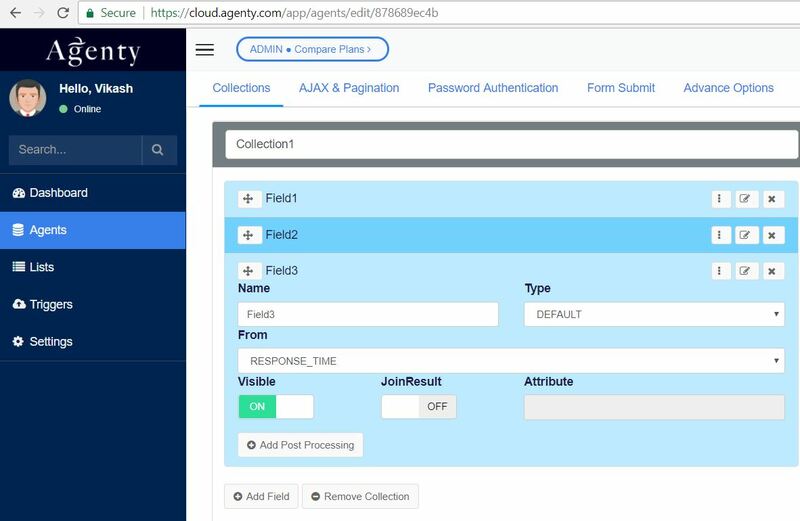 The above steps will change the scraping agent configuration only and you'd need to re-run your agent to extract the default field value when the field is added or updated.